Market Imports is located in the Garden Center at the State Farmers Market in Raleigh, NC. They specialize in antique furniture, home accessories, architectural elements, patio and garden furniture. They are the largest supplier of home and garden accessories in the Raleigh, Durham and Chapel Hill area. 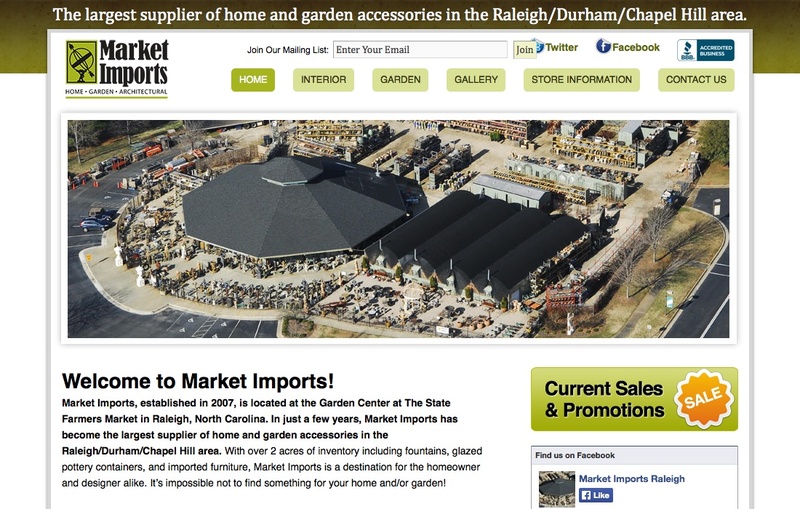 Market Imports is located in the Garden Center at the State Farmers Market in Raleigh, NC.